Xarelto, also known as Rivaroxaban, can cause severe, irreversible and life threatening bleeding and death. Xarelto (rivaroxaban) is an oral anticoagulant (blood thinner). It has also been widely prescribed to prevent stroke and blood clots in patients suffering from atrial fibrillation (arrhythmia of the heart), deep vein thrombosis (blood clots deep within the body), and pulmonary embolism (blood clots in the lungs), or to patients who have recently underwent a knee or hip replacement surgery. The FDA approved Xarelto to reduce the risk of deep vein thrombosis and pulmonary embolism in July 2011. The FDA then expanded its approval to the ongoing treatment and prevention in November 2012. The FDA also approved Xarelto for reduction of stroke risk in people with non-valvular atrial fibrillation in November 2011. Xarelto is manufactured by Bayer and Janssen Pharmaceutical, a subsidiary of Johnson & Johnson. In September 2013, a German media outlet reported a sharp spike in the number of serious medical incidents associated with Xarelto. The article noted that during the first 8 months of that year, Germany’s Federal Institute for Drugs and Medical Devices had received 958 reports of complications where the medication was the suspected cause, including 72 cases of death. By contrast, the blood thinner was implicated in just 750 adverse event reports, including 58 deaths, in all of 2012. In January 2014, the FDA’s safety surveillance agency announced the development of a surveillance plan to study Xarelto which would monitor ischemic strokes, intracranial hemorrhages and gastrointestinal bleeding. According to the Institute for Safe Medicine Practices’ May 2014 Quarter Watch report, the U.S. Food & Drug Administration (FDA) received 680 reports of serious complications during the first quarter of 2013 that were related to Xarelto. For the first time since its U.S. launch, the drug outpaced Pradaxa in number of adverse event reports. Is There A Reversal Agent For Xarelto? No. There is currently no reversal agent for Xarelto Like all blood thinners, this drug can cause serious internal hemorrhaging in some patients. However, Xarelto bleeding is difficult to stop, as there is no known reversal agent for this occurrence. Warfarin bleeding, by contrast, can be staunched rather quickly via the administration of vitamin K.
Since its introduction to the market, Xarelto has attained blockbuster status. In 2013 alone, the drug racked up global sales of $1.3 billion. And, with their heavy television and print advertising campaign directly to consumers, those sales figures are expected to increase in 2014. Doyle Law Firm, PC is investigating possible lawsuits against the makers of Xarelto. Our experienced dangerous pharmaceutical and medical device attorneys have successfully handled many similar cases in the past. If you or someone you know has experienced any of the symptoms listed above as a result of taking Xarelto, you may be entitled to monetary compensation. 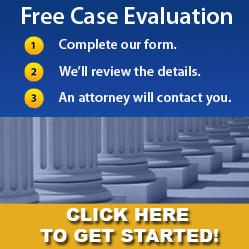 Please contact us online or call us at 888-633-5204 to speak with an attorney today. 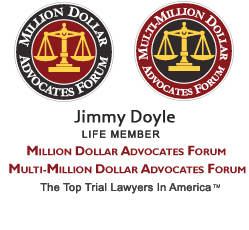 The defective pharmaceutical lawyers at Doyle Law have a proven track record of success in helping our clients obtain compensation for injuries resulting from defective products like Xarelto. Our experienced team of Xarelto Injury Lawyers have been helping victims of defective products for years. We are dedicated to achieving real justice for our clients and we can assure you that, if we accept your case, we will work diligently to achieve the best result possible for you. All initial consultations are free and completely confidential. Fosamax, Boniva, Actonel - medication prescribed to treat osteoporosis - are linked to femur fractures after 3 years of use. If you took any of this medication (or any combination thereof) and suffered a femur fracture, call us or fill out our online form today. A growing number of metal-on-metal artificial hip implants are being recalled due to early failures and some patients suffering from metallosis - metal debris released from the hip compontents inflame the surrounding tissue and enter the bloodstream, causing elevated levels of cobalt and chromium. We're now accepting clients with claims aginst DePuy, Stryker, and Wright Medical. If you have (or had) one of these devices, we can help to protect your legal rights. To contact us, call or fill out our online form today.